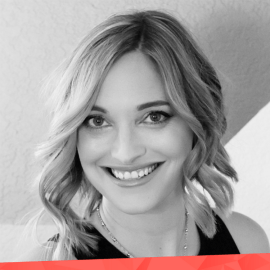 Jackie Morck is CEO of Totem, a Las-Vegas based blockchain technology, strategy, and design company. Jackie is a Silicon Valley native and has been at the cutting edge of technology for more than a decade. She has over four years of experience in machine learning and blockchain, founded a cannabis B2B technology company, and was an Entrepreneur in Residence at Originate, a pioneer in AI-driven technologies. Passionate about growth stage organizations, Jackie has focused her energy on bringing innovation to legacy-based industries through her own companies and others. She is currently an analyst at ShadowFund Ventures, which invests in technology for the built environment, and has sat as an Executive in Residence at The Combine, whose mission is to help growth stage companies successfully scale. Jackie was named a “Technology Leader in the Cannabis Industry” from the Las Vegas Medical Marijuana Association, and has been featured in the Marijuana Times, on VegasTech.com, Vator.tv, and Healthcare Training & Education magazine. If she doesn’t answer her phone, she is probably, swimming, hiking with her best dog friend, Mulder, or scuba diving wherever she thinks she can find some fishes. Jackie has spoken at conferences and at startup events across the U.S., Canada, and Australia. She has recently spoken at AFWERX Fusion, Government in Blockchain Meetup, UNLV, and the Women Grow Summit.